...you answer the phone, of course. H.P. Lovecraft, considered by many the precursor of the horror genre, wrote a lot of weird (and fantastic) stories. His most famous is after the jump. Read it, and know what all the nerds are talking about when they say things like "Cthulhu" or "R'lyeh". Cthulhu a bit angry. 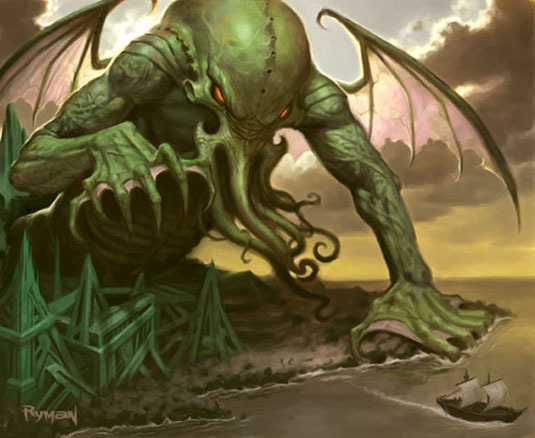 You don't want Cthulhu angry. Did you like it? Even if you didn't, you are now a honorary nerd.